Fabric Made From 100% Cotton! 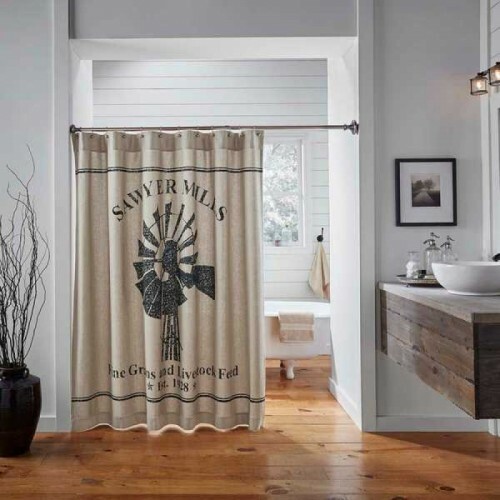 The Sawyer Mill Charcoal Shower Curtain presented by Country Vintage Home brings a Farmhouse look into the bath with its windmill-themed black stencil in the center over khaki chambray. A single grain sack stripe is stenciled both above and below the center design. Dimensions: Length 72" x Width 72"